A Motion Sensor detects moving objects. A motion detector is often integrated as a component of a system that automatically performs a task or alerts a user of motion in an area. Motion Sensors are all around us and have assisted in making our lives more convenient and efficient. Motion Sensors are common in places such as the entrance and exit doors of shopping malls, grocery stores, business houses, buildings. Public bathrooms are switching to touch-free systems like automatic flushers, faucets, and hand-dryers and are growing in popularity. This is only possible with the use of motion sensors. 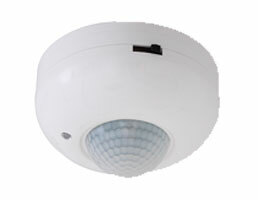 Motion Sensors in security alarms are very effective and are essential for most business. With Motion Sensors, a whole building can be monitored simultaneously.